When I answered the door this morning, I was a little shock by the crispness in the air. Anyway, a new season is upon us. What item should I add to my wardrobe, I wonder. To be 100% honest, I am not really keen on Baroque or floral stuff which seem to be carrying on from S/S 2012. I am petite (5’2″) with a boyish figure. Therefore, a large print really doesn’t work for me. And with those ‘opulent’ trousers with side pockets, it only emphasises my lack of curves in a rather demoralizing way. Flicking through the pages of Vogue, I wondered if I shouldn’t be bothered about this season at all since the trend, apart from khaki green & army stuff, doesn’t excite ma at all. Might as well, just sticking to skinny jeans & boyfriend jackets. No point in trying to be someone else, isn’t there? However, I had one item I wanted to add for A/W 2012. A hat. 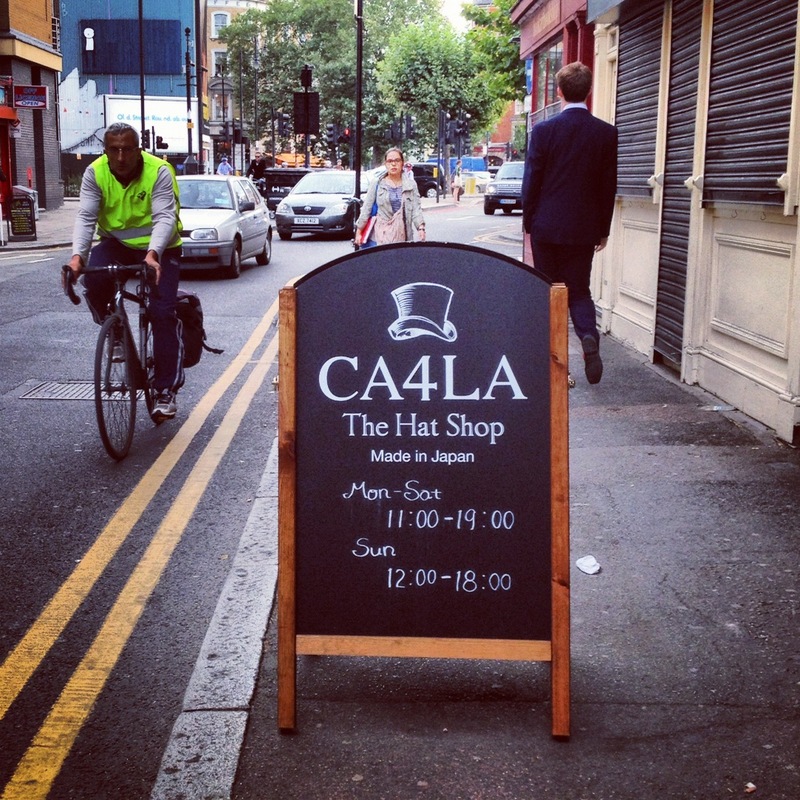 So, Mr.B & I visited a hat shop CA4LA on Pitfield Street. 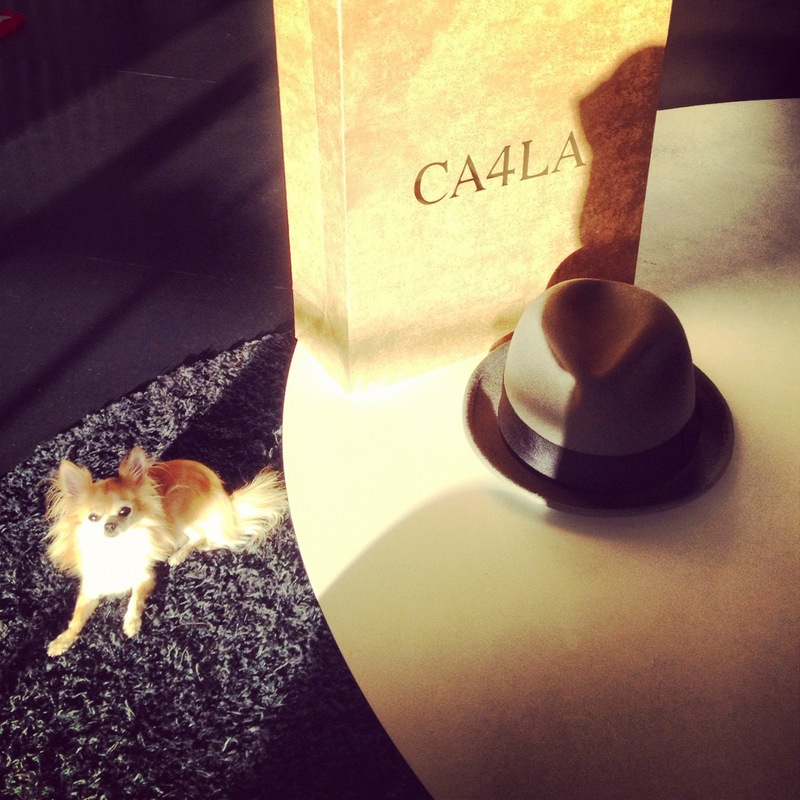 The name “CA4LA” (pronounced as Ka-shi-la in Japanese) means the head and also the top. A heaven for hat lovers! 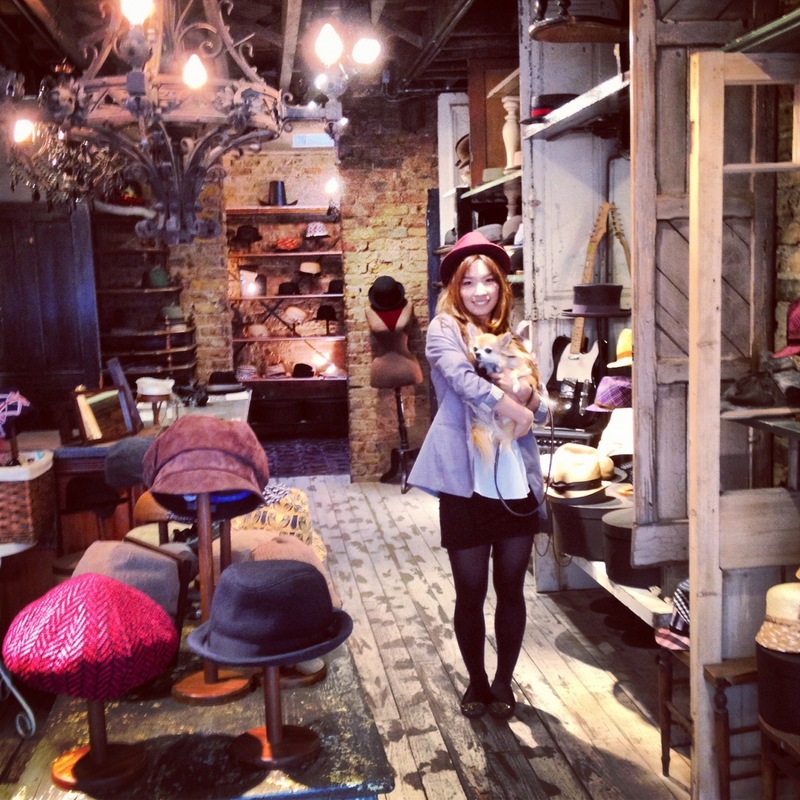 The shop was brimming with all sort of hats – trilbies, fedoras, bowler hats, panamas, pork pies, beanies, flat caps, cassettes, berets, sailor hats, baseball caps…etc. Not only they carried mesmerizing varieties in style but also in colour and material. There were too many choices for me who was not entirely confident when it came to choose anything above my neck. 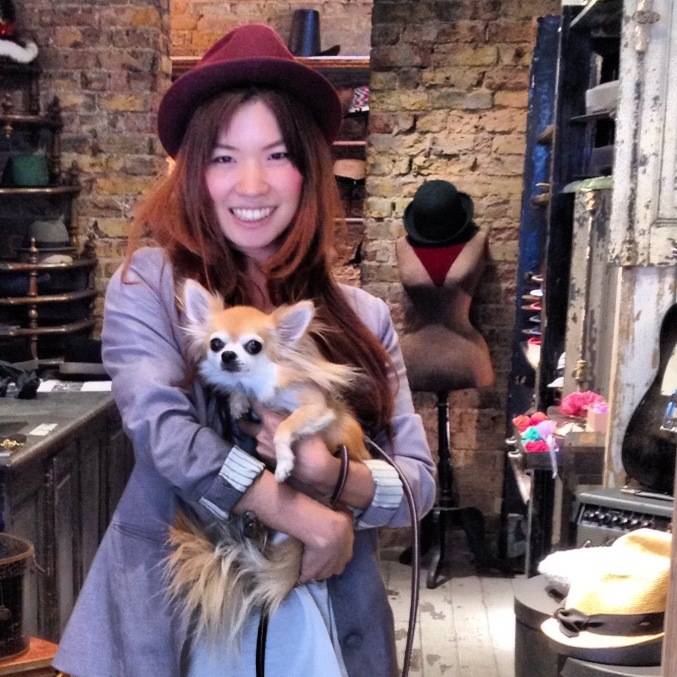 This lady with Mr.B helped me to choose a perfect hat! Can’t believe it! 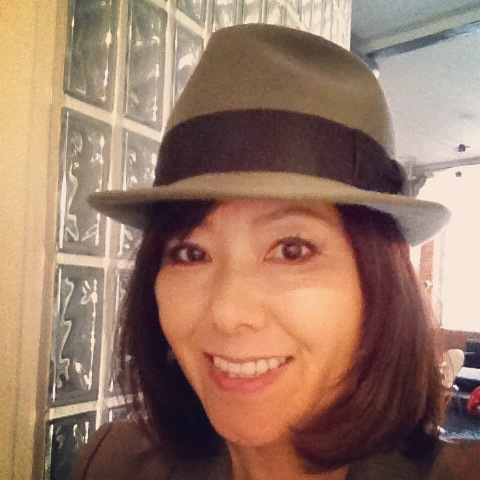 Another hat!! I tried it with my beloved Kooples jacket and Ash boots while Mr.B looking on contemptuously. the future. I want to encourage continue your great posts, have a nice holiday weekend!